Canadian Bush Pilots / Virtual Horizons: A nice site about bush pilots and aircraft in Canada and around the world. Canadian Bushplane Heritage Centre: View the history of some of the most popular bushplanes. Bush pilots of Quebec - French site. 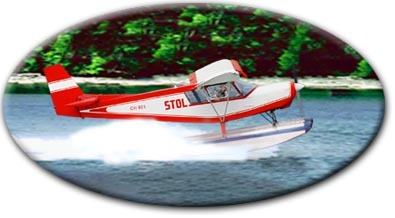 Search for STOL CH 801 builders / pilots. High Mountain Flying - Colorado FAA site - some useful resources. Christian Wings for the World Inc.
Let us know of any links we should add.